Oco-2 will count the CO2 molecules in our atmosphere. The instruments on OCO-2 are so precise they will count the number of CO2 molecules in the layers of our atmosphere! Now, this is what’s so impressive! The instrument on OCO-2 is so precise it will count the number of CO2 molecules in the layers of our atmosphere! It then uses this information to predict the effects of CO2 molecules on our rising temperatures. 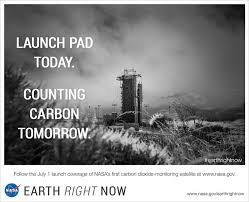 Until now, NASA has been measuring the increasing greenhouse gases by ground instruments placed throughout our planet. Data from OCO-2 will be combined with that of the ground level instruments to make accurate predictions of our present and future weather patterns and changing climate. OCO-2 will follow the same path as CloudSat, which monitors clouds and particles of aerosols in our atmosphere. Oco-2 was launched in July and will orbit in the same track as CloudSat. 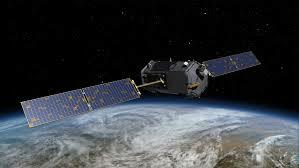 According to NASA.gov, the satellite will measure molecules by observing their effects on sunlight. “Sunlight is made up of waves of many frequencies, some visible and others invisible. As sunlight passes through the atmosphere, CO2 absorbs specific frequencies in the light spectrum, leaving dark, narrow gaps in the spectrum. The more light that has been absorbed in a certain column of air, the more CO2 is present there.” The data can show how the Earth’s atmosphere changes above industrial cities as opposed to thick forest. Less CO2, as over a forest, will show a “sink”, while the more light that has been absorbed in a column of air shows greater levels of CO2, as over city pollution. Why does CO2 need to be measured? The safe level of CO2, the most abundant greenhouse gas, in our atmosphere is below 350 parts per million. Observatories have measured our atmospheric greenhouse gases from the burning of fossil fuels, such as coal, at more than 400 ppm in the past year. What does this mean for our planet? It means our planet is warming up because these gases create a shield around our earth which doesn’t allow heat to escape. We need to return to below 350ppm within the next few years or risk reaching irreversible impacts, such as the melting of the Ice caps and changing weather patterns. Categories: Climate Change, Fossil Fuels, Pollution, Renewable Resources | Permalink.